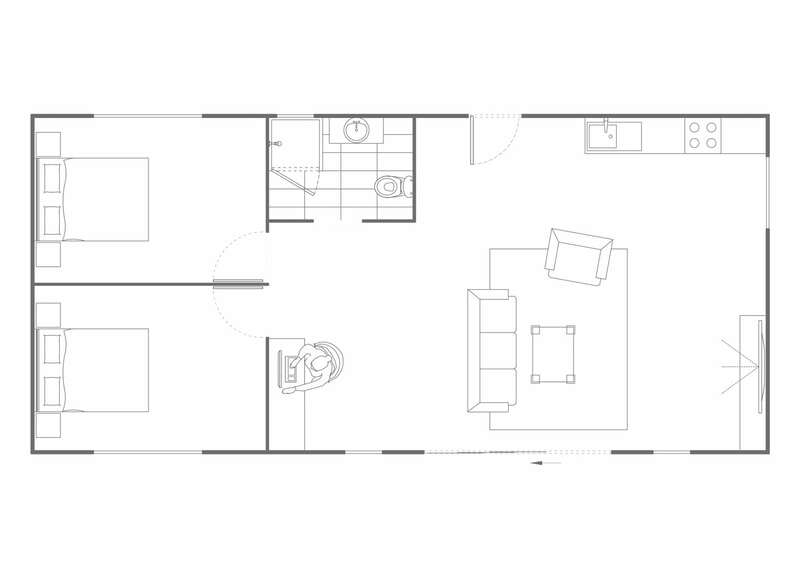 Our largest customisable studio includes 2 bedrooms, bathroom, kitchen/study, a living room and dining. 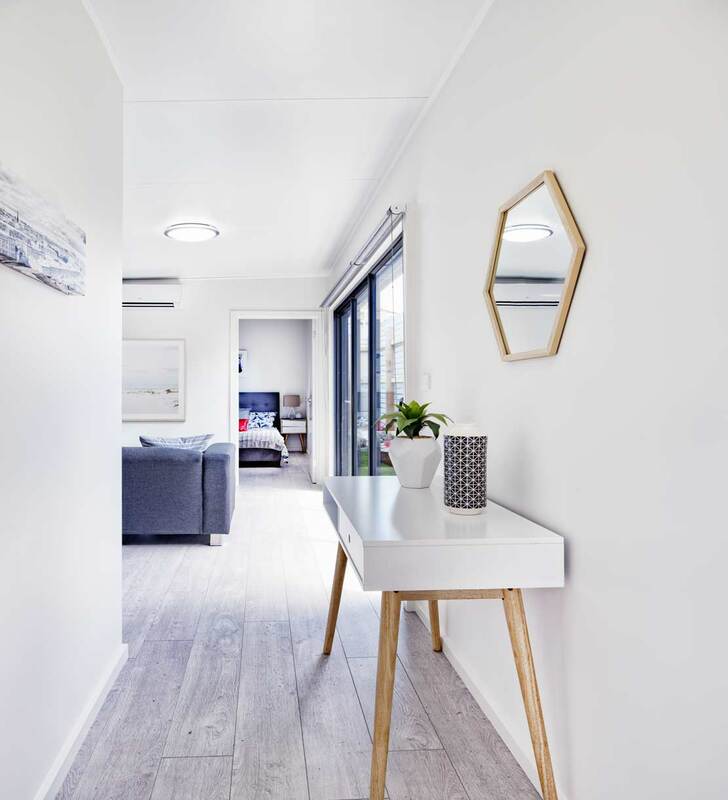 Perfect for a full-time living space, particularly for an elderly relative. comfortable place for living, entertaining and relaxing. Building permits and relevant property reports are included.